How do I inform parents about activity I created? Guidelines on informing the parents about the newly created Activity. After you post an Activity on ClassTag, the parents don’t receive any email or SMS yet, but it is posted on their Activities tab. 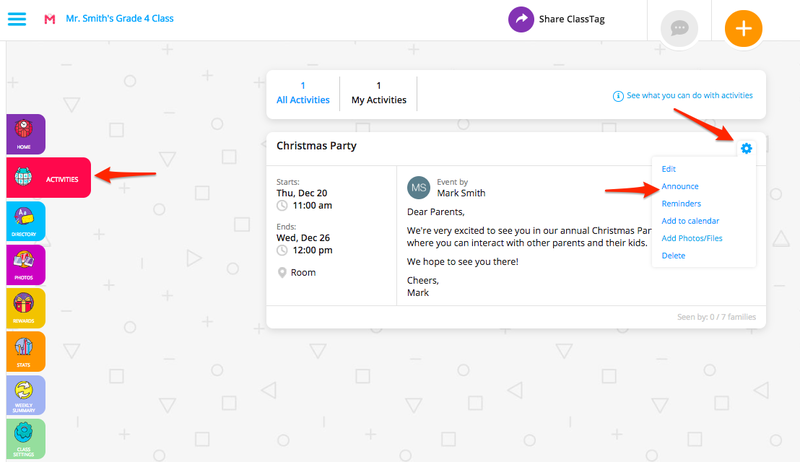 To alert the parents right away and trigger the system to send the notifications, you need to announce the activity which you can see at the end of the creation process. If you forgot to announce the activity, don’t worry! You can still announce it after. Simply go to the “Activities” page, look for the activity, click the gear icon then click “Announce”. 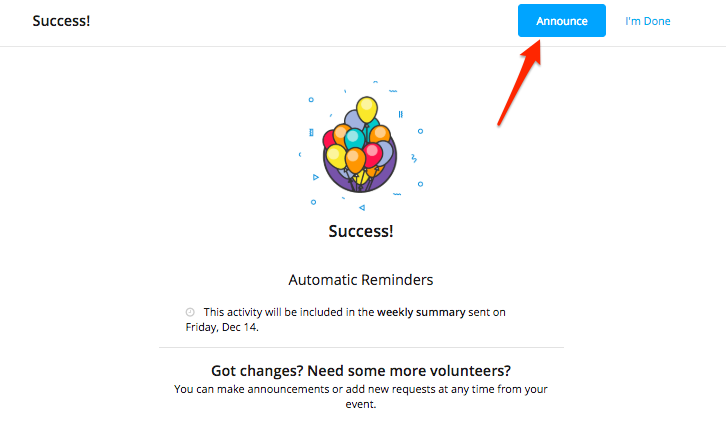 The great news is that your announcement will automatically include all information about the activity you created if you send it in one of the two ways described above. How do I upload a document to ClassTag?